God’s people in Crafton Heights gathered on Sunday March 26 to consider the truth that God revealed himself in the person of Jesus of Nazareth. We spent some time on the boat with the disciples in the midst of the storm (as recorded in Mark 4:35-41) and remembered the words of the Psalmist in Psalm 24. 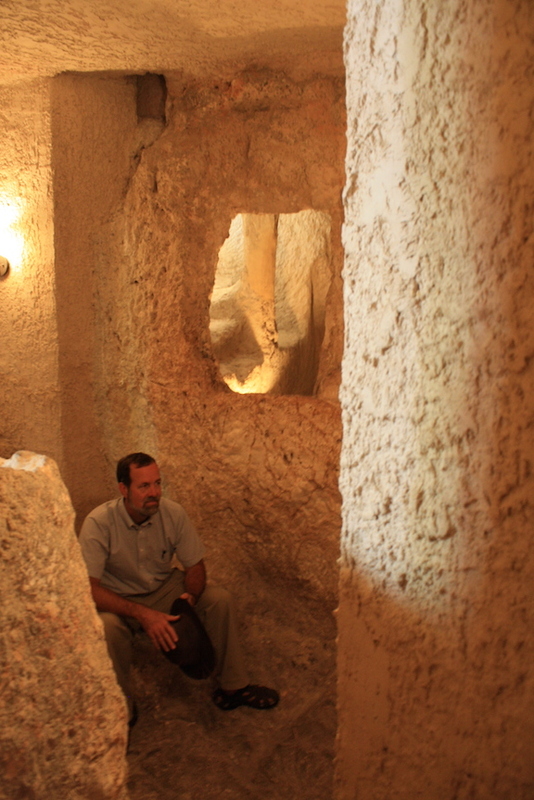 It’s 1000 BC in the ancient city of Joppa, on the coast of the Mediterranean Sea. Canaanite children are being tucked into bed, and as they are, they hear stories of the gods of their people. They may listen to scary stories, such as those having to do with the deity named Moloch. 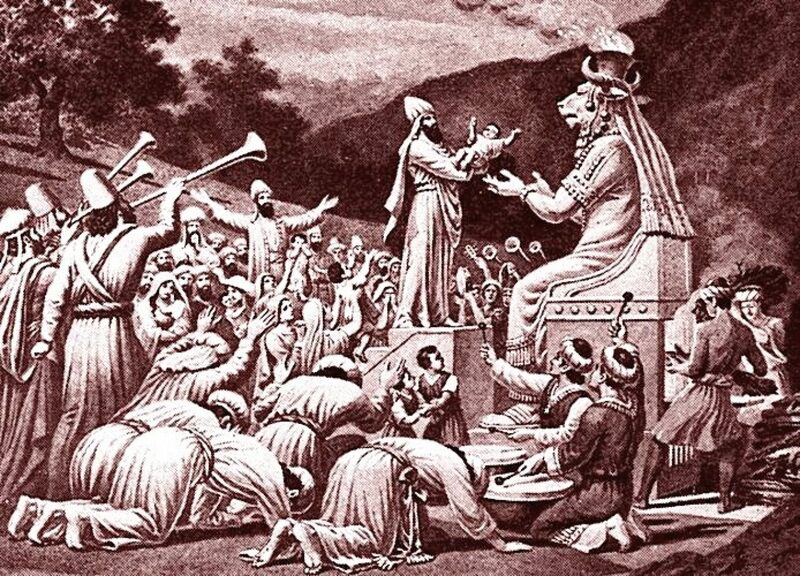 Moloch, they say, demands that the lives of children – particularly first-born children – be offered to him. Those who take their children to be passed through the fire, as it is called, are promised large families and financial security. 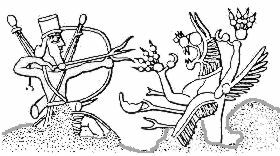 Or maybe tonight they’ll hear the story about the battle between Baal, who is said to be the god of the storm, and wind, and rain, and Yamm, the god of the sea and the rivers. Yamm wanted more power, and so he challenged Baal; when he lost, he was cast into the deeps and forced to limit his trouble-making powers there. About 30 miles away, there are some Israelite children being sung to sleep by their mothers in Jerusalem. Perhaps they are singing one of the Psalms that they’ve sung in worship at the Temple Mount – songs that talk about their God, YHWH. That’s a statement of ownership. If YHWH is the rightful owner of all, then nobody else can be the owner. If God is in control, then anyone else who claims to be is simply lying. Moreover, the song goes on to declare that when YHWH built the world, he built it on top of the waters. YHWH, not Yamm, rules the sea. The power of YHWH, not Baal, is in the heart of the storm. Now, a thousand years later, we find twelve men who had grown up singing Psalm 24 all their lives sitting in a fishing boat in the middle of the Sea of Galilee. They’ve been following a Rabbi who has indicated the rather curious intention to go across the Sea to where “they” live – the non-faithful, the ones who are not like us. It’s odd, because this Rabbi and his followers have been attracting large crowds; apparently, though, the teacher from Nazareth wants to leave the throngs behind and venture into the unknown. I’m not so sure that this man’s followers are totally sold on the idea. In a panic, these men turn towards the Rabbi – one of the few, incidentally, who is not a professional fisherman – and find him asleep in the boat. They shake him awake, and then he calms the storm before their very eyes. Now, pay attention to what you’ve heard, and note this: that these men were surprised that Jesus was able to speak into the intensity of the storm. The wind and the waves obey him! Who knew? Because Jesus calms the storm and then challenges the disciples’ apparent lack of faith, I’m tempted to read this passage as if the disciples are upset with Jesus for not saving them from the storm. That’s not the case. The disciples never ask Jesus to save them. The reason that they are frustrated is not because he’s not saving them – there is no indication from anyone that they think that’s even a possibility. Listen: are you mad at me because the Steelers didn’t win the Super Bowl last year? Of course not. How could you be angry with me because the Steelers didn’t make it to the big game? I had nothing to do with that – that was totally beyond my control. 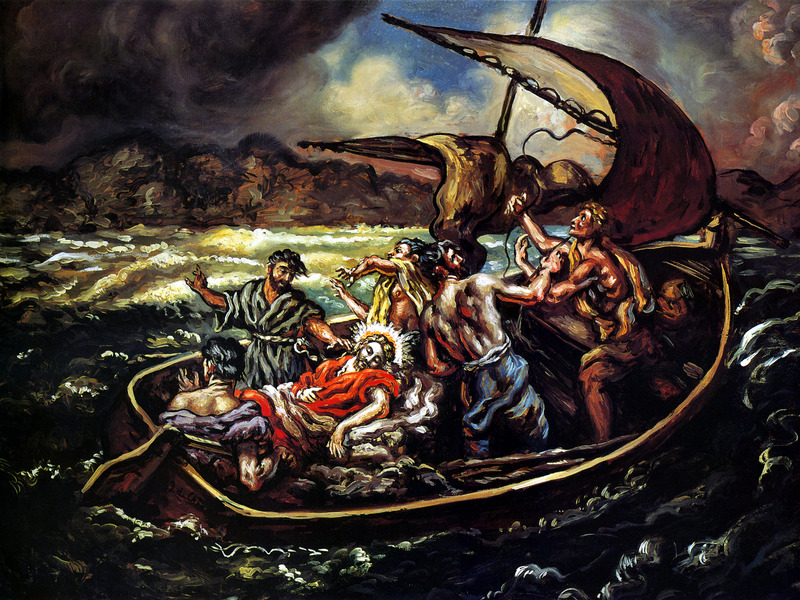 In the same way, I think, we can’t presume that the disciples are irritated with Jesus for not stopping the storm. There’s no evidence to support the idea that they think Jesus could even come close to stopping the storm. But it’s clear that they’re agitated. Why? 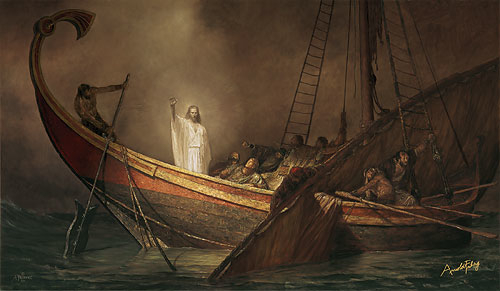 Jesus calms the sea and quiets the storm and in that very moment the disciples are reminded of the truths of Psalm 24. In the same instant, they are brought face to face with the reality that all of the power, majesty, and authority of YHWH is present in and available to Jesus of Nazareth. And if for some reason you have not yet asked this question, I predict that you will. Does Jesus care about the particular whirlwind in which you find yourself lost today? I guess it depends on where you think Jesus is. I’ve already noted that think it’s premature to ask the disciples if they believe Jesus can do anything to fix the situation – they do not appear to believe that he even gives a darn. Because, after all, he’s sleeping. He’s not freaking out, the way a “normal” person might. But pay attention to one thing. During this whole story, where do we find Jesus? He’s in the boat, isn’t he? He may be silent – but do not ever mistake the silence of God for the absence of God. It’s the same for you and me, you know. I’m telling you friends, Jesus is in your boat. And I don’t care whether it’s been smooth sailing since day one or if you’re currently dealing with an “All hands on deck!” kind of moment. Jesus has not left the boat. Do not ever, ever presume that simply because Jesus does not share your anxiety about the current circumstances that he does not care about you, or your pain or your fear. Why is it that YHWH is not acting in the way that you desire? I do not know. Why does it seem as though Jesus is sawing logs right next to you while your world is being turned upside down? I cannot say for sure. And that breaks my heart. But this thing I know: He is the King of Glory. The earth belongs to him. And while he may be silent, he is sitting right next to you. The best and wisest thing that your pastor can tell you in this situation is that if you find yourself in the midst of a storm and Jesus seems to be sleeping right through it, reach out and hang on to him for all you’re worth until he calms the storm. It’s who he is. It’s what he does. Thanks be to God! The people at the Crafton Heights church have been spending this Lent listening to the words of scripture – in particular, the scriptures set to music in the context of Handel’s Messiah. Many of these ideas are explored in great depth in the excellent Kerygma resource, Hallelujah: The Bible and Handel’s Messiah. On March 19, our scripture text was The 22nd Psalm. I’d like to ask you to think for a moment about the power of music in your life. How does what you hear shape who you are, what you feel, and how you look at things? I would suggest that for most of us, there are some songs that mean so much to us that when we hear even a snippet of them, we are reminded of something that is much larger, much more important than the few bars of music we encounter. If you know and like these movies, I bet that right now you are aware of the truth that there are no odds that are insurmountable; you know that you have to stay strong even in defeat; and that you can push yourself – you are reminded of these things simply because you heard a couple of lines of music. Again, some of you are transported to a place where things are not always as they seem, and where innocence matters, and where self-sacrificial love is the most powerful force in the universe… And the rest of you? You’re just Muggles, that’s all. Nothing to be ashamed of. We could go on, but you know where I’m heading… I can tell a lot about you simply by looking at your playlists or seeing your music collection. Why does this matter today? 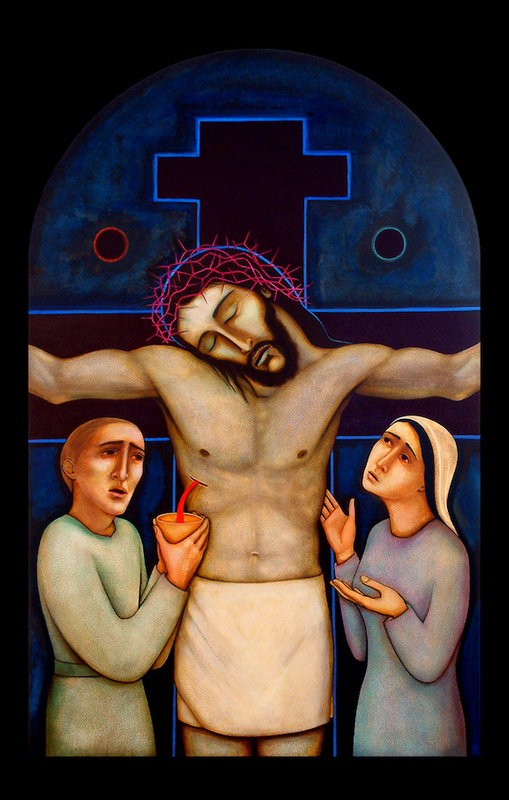 Because we are in the season of Lent – a time of reflection, repentance, and preparation that leads us to Holy Week, where we commemorate the suffering, death, and ultimately, the resurrection of Jesus. And as we approach that week, we do well to note that both Matthew and Mark go out of their way to tell us that Jesus was thinking about a particular song when he died. In fact, each of these Gospels indicates that the last intelligible thing Jesus uttered prior to his death was “Eloi, eloi, lama sabachthani”. Those words form the Aramaic translation of the beginning of Psalm 22, which you heard (in English) a few moments ago. And when we do that, it’s unfortunate because if we make Psalm 22 some sort of a magic incantation that predicts specific details of Jesus’ life and death a thousand years into the future, we will lose sight of some important truths in both the Psalm and in Jesus’ life. Psalm 22 is not about Jesus. Jesus was about Psalm 22. The fact that this prayer, this song, was present to him as he endured such torment and that he chose to make that song present to those who waited with and watched him die makes that song important to us this Lent as well. Like many other Psalms, this particular scripture is a song of lament. There is a structure. For instance, if you remember anything about poetry, you’ll remember that a Haiku consists of seventeen syllables arranged in lines of five, seven, and five. A sonnet is a fourteen-line poem traditionally written in iambic pentameter. The structure of these poems informs the meaning, and vice-versa. A typical lament has five parts: there is an invocation, a complaint, a statement of trust, a request for God to act, and a brief expression of praise. When you sing a lament, you are right to expect these things in this order. Psalm 22 is remarkable among the Psalms of lament because there is really no overt expression of trust in God’s power or presence in the moment. The psalmist, going through one of the most difficult times of his life, knows all of the “right answers” that he learned in Sunday school… but he was still afraid that maybe God was not paying attention to him, or worse –that God didn’t want to pay attention to him. He knows that others have trusted God; he knows that he should trust God, but he finds that such trust is exceedingly difficult to come by at this moment. Could that have been why Jesus was thinking about these words as he hung on the cross? Could it be that maybe he was having a very, very difficult time trusting his Father to see this thing through to completion? Or was it perhaps that he brought this Psalm to mind for the sake of those whom he loved who were watching him die? In raising this particular lament, was he acknowledging to them that faith and trust and hope are sometimes incredibly difficult to come by? Do you ever feel that way? You want to trust, you want to believe, but WOW is it hard on some days… If I’m right about some of this, then your struggles to always have faith don’t necessarily take you away from Jesus – they may make you more like Jesus. The other thing that is remarkable about Psalm 22 as a song of lament is the fact that the praise and thanksgiving section is five or ten times longer than in most of the other Psalms of lamentation. Moreover, the praises here are not limited only to the singer. This Psalm begins with a deeply personal cry for help but it ends with the declaration that praise is due God from not only all of Israel, but those from every nation, and the ends of the earth, and even those who have already died or who are yet to be born. What starts off as an individual’s heartfelt cry of pain and isolation (“My God, my God! Why have you forsaken me?”) is somehow transformed in the life of the Psalmist to a song of praise that stretches not only across the entire globe but through eternity as well. In mentioning the dead who will praise God, this Psalm offers us a quick glimpse of resurrection hope. Could it be that Jesus, in calling this psalm to mind at the moment of his own greatest anguish and pain, held out hope to himself and for his followers that pain, suffering, darkness, and crucifixion are not all that there is? Could it be that as he hung on the cross he needed to know – and he needed us to know – that there is more to the song – but we can only experience that “more” after we come through the suffering or the isolation or the grief? In each of our lives, there are times when it is all we can do to simply sit in the dark and experience the grief or the shock or the pain. Often, during those times, it’s better if a friend is there to sit with us – not because that person is able to take away the grief or the shock or the pain, but somehow their presence validates our experience of it and offers some sort of mute testimony to the fact that this, too, can be endured. Psalm 22 is a cry from a dark and painful place that somehow points to a deep hope that, while even though it appears to be hidden or buried, has always been there and will always be there. The upper levels were interesting enough, but it was the basement that got me. Down below was a dungeon that dated from the first century. 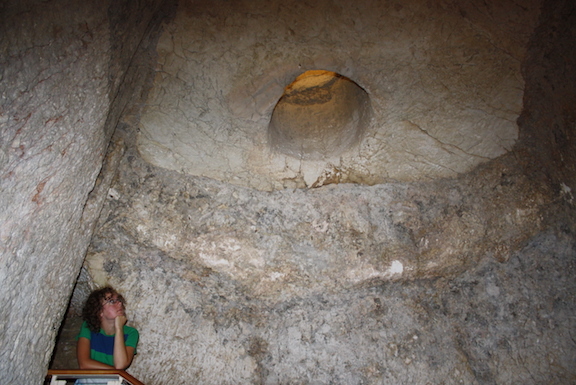 The signs were clear: We have no way of knowing this, but since this dungeon is fairly close to what was the High Priests’ residence at the time of Jesus, there’s a chance that this is where Jesus, and later the Apostles, would have been imprisoned by the authorities. In a very subdued manner, the signs explained the way that the dungeon was laid out. And there, at the darkest, lowest, point of the dungeon was a simple stand with the text of Psalm 88 – like Psalm 22, a Psalm of complaint and lament. 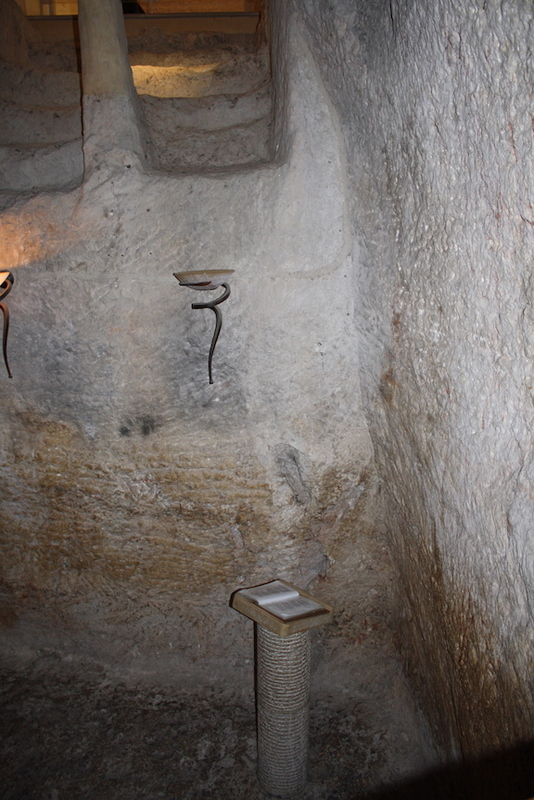 In the dungeon, St. Peter in Gallicantu. 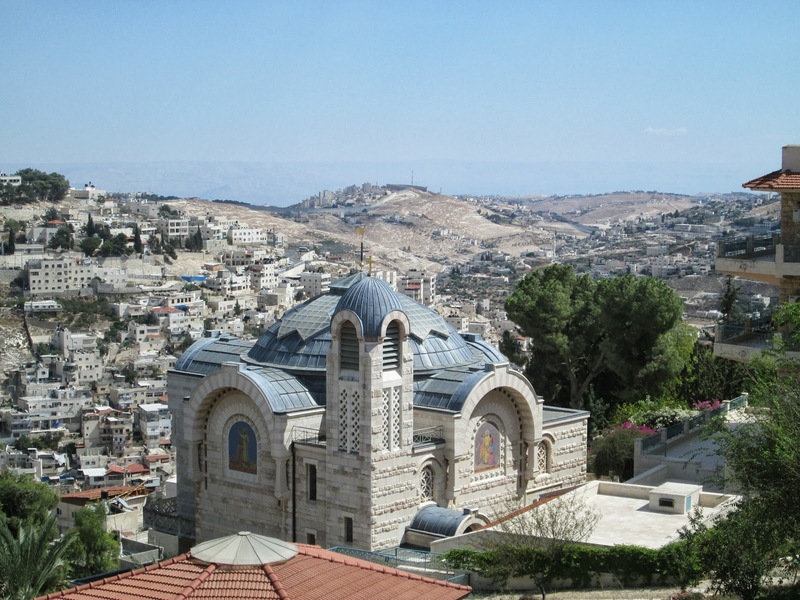 I’d been to the so-called “Upper Room”; I’d visited the Mount of Olives and the Garden of Gethsemane; and I’d seen at least two places that claimed to be the empty tomb of the resurrection, but I am here to tell you that it was not until I cried out to God in weakness, in darkness, and in isolation did I have some sense that those deep and hidden places are not the end of the story. It’s ok to be there. It’s ok to wonder where God is and how things work. But know this, too: that the song is not over. You have heard the song – but only a part of it. Lent is not forever. Remember that nothing that is buried – not Jesus, not alleluias, not your or me – nothing stays buried forever. I came to appreciate many of the “classic” scriptures relating to the birth, life, passion, and resurrection of Jesus by listening to Handel’s Messiah. During Lent 2017, the people at the First U.P. Church of Crafton Heights are reading through many of those scriptures on Sundays, even as we study them during the week. 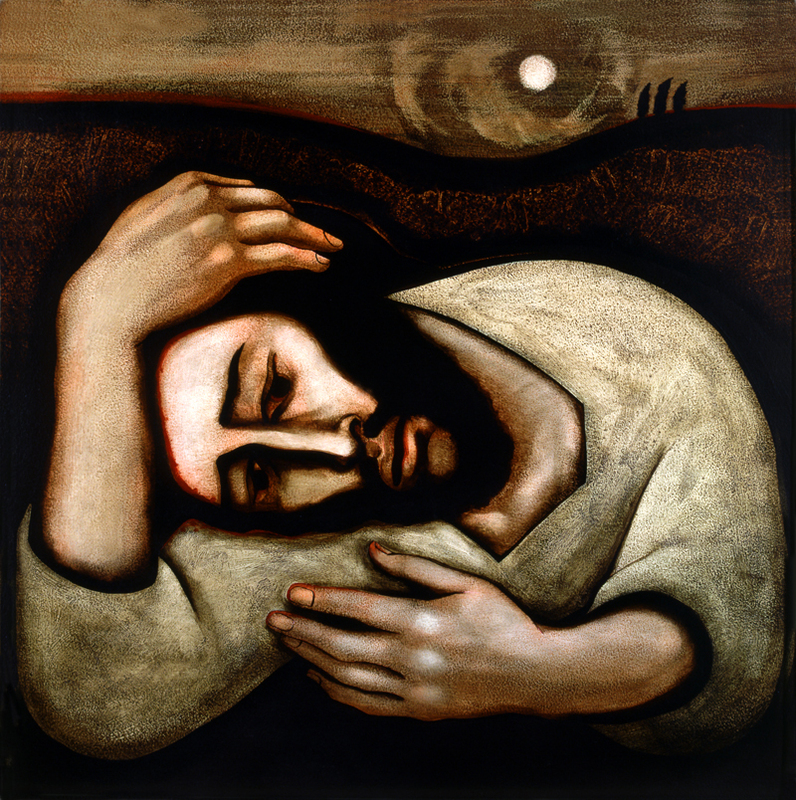 On 12 March, we considered the “suffering servant” passage of Isaiah 53 as well as John’s declaration about the “Lamb of God who takes away the sin of the world” in John 1:29-34. I’m not going to lie to you. 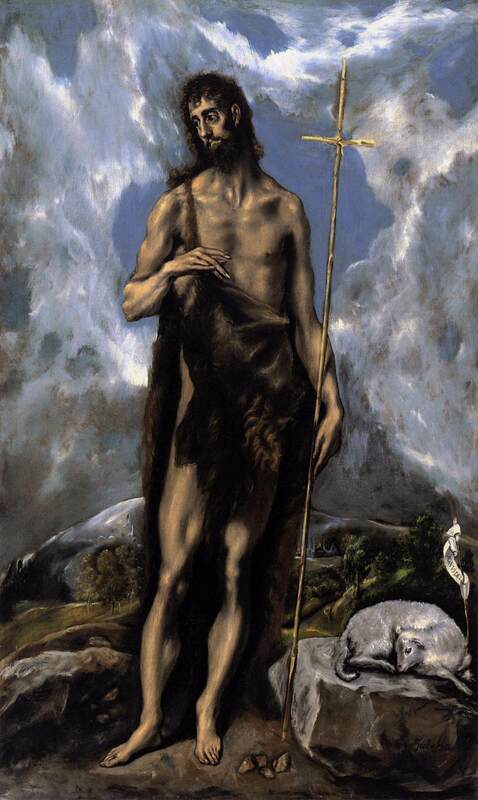 John the Baptist was a strange man. He lived in the desert. He wore clothes that the Thrift Store would have rejected. When he preached, he called his congregation a bunch of snakes. There’s no doubt about it: the man was different. And that may be what attracted so many people to him, at least at first. Almost like a car wreck, you know? You don’t want to look, you’re pretty sure that your sensibilities will be offended, but you just can’t take your eyes off of him. He’s just so…so…strange, that’s all. To those who got past his people skills, his appearance and his diet, John was a wise teacher. More than that, he talked about the fact that he was the forerunner of someone more powerful, more important than he. The Messiah, said John, The Messiah is coming. What do you suppose that the people who were with him thought about that? When they heard John the Baptist proclaim Jesus as the lamb who takes away the sin of the world, what were they thinking? Maybe when they heard about the lamb, they remembered Genesis 22 and the story of Abram’s call to sacrifice Isaac. One man was told, “Take your son, your only son, the son whom you love, and give him to me…” And then, as you know, they got to the top of the mountain and there was an angel who prevented Abram from killing his son. And instead of the only son dying, a lamb was found and the lamb became the sacrifice. One lamb killed, one son spared, one family preserved. 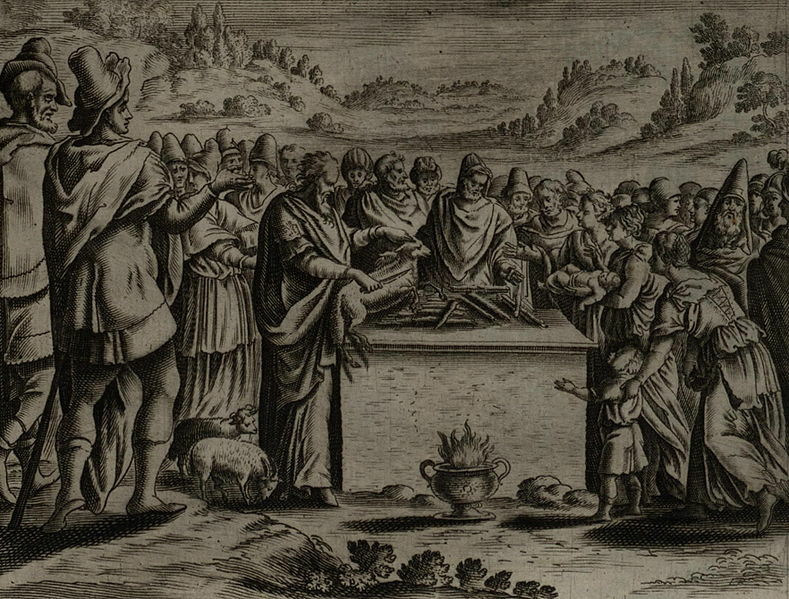 Passover, engraving published in “La Saincte” Bible, 1670. Maybe when they heard about the lamb, folks remembered the story of the Passover and the Exodus. 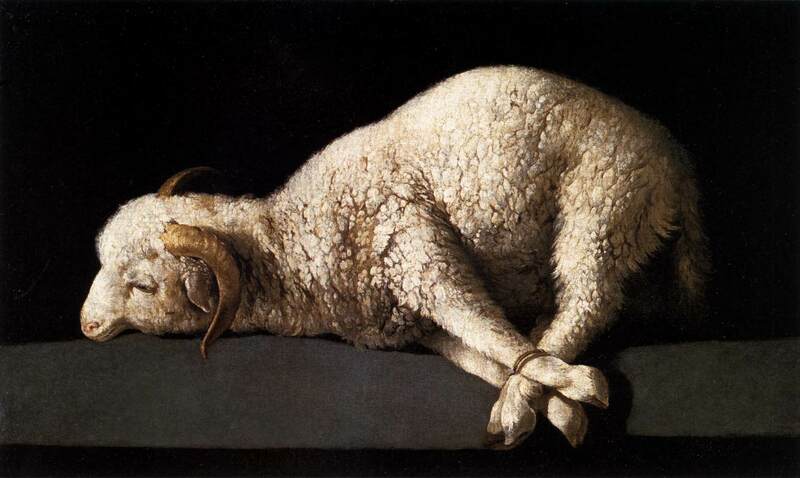 An entire nation was told, “Each of you take a lamb, and with the blood of that lamb, your family will be spared.” And the dreadful night came and went, and as many people who had offered up lambs in their homes, that many people were spared, and God’s people were spared the apparent wrath of God. Many lambs killed, many families saved. Perhaps when John’s friends heard him talking about the lamb that takes away the sins of the world, they remembered the prophecy of Isaiah. Isaiah had dreamt of a man – not a goat, not a lamb – who would take away the sin of the people. More than this, a man who would participate with God in a decisive act that will release people from the stranglehold of sin on their lives – not for a day, or a season, or year – but forever. Perhaps the greatest similarity between the lamb in Isaiah and the other lambs is this: each of the previous narratives describes an attempt to make things right with God. Each illustrates how humans can cover themselves with the blood or the innocence of another in an effort to somehow be presentable to a God who is very angry. There is a key difference between Isaiah’s dream and the other sacrifices, however. 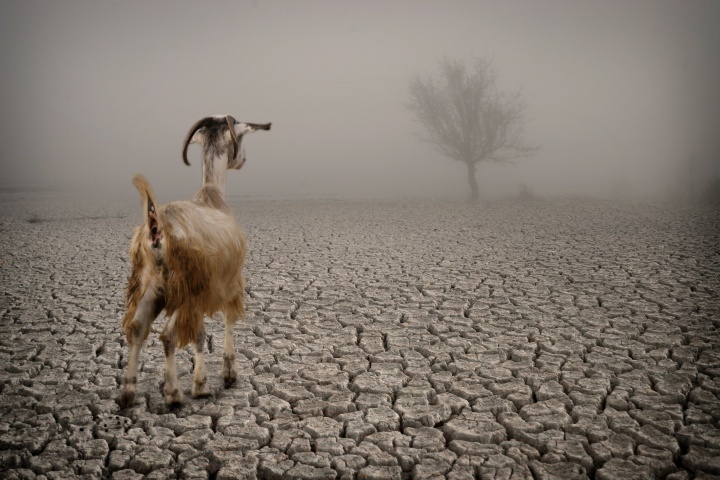 In the stories of Abraham, the Passover, and the scapegoat, how much choice did the animals have? None. There they were, out with the flock one day and the shepherd picked them and led them to their deaths. They were victims, pure and simple, used capriciously by someone more powerful than they. But not this lamb mentioned in Isaiah! Oh, it’s killed all right. But it’s killed because the servant walks deliberately into the suffering and death that the rest of us fear. The servant is no pawn, no powerless victim, but rather one who chooses to pour out his own life, who willingly takes the sin of the people not just into the next ZIP code, but away from them altogether. So here we have crusty old John the Baptizer, complete with his camel-hair robe and his lunchbox full of locusts, and he points to Jesus and he says, “Behold the Lamb of God, who takes away the sins of the world…” What do you suppose the people were thinking that day? Were they thinking about atonement? That’s the theological concept here, my friends. Atonement means bringing two sides together. Two parties who had at one point been enemies or at variance with each other are now together; they are now on the same team, so to speak. Is this what the followers of John were thinking? When they saw Jesus, did they do a quick survey of the scripture and think about the fact that the system of sacrifices would never get the job done? Did they realize the truth that animal sacrifice was a sort of endless loop wherein each year, each season, people came before a God who they thought of as angry and did their best to satisfy that anger with a burnt offering, and then felt glad to get out of worship alive? What I’m asking is this: do you think that those followers of John engaged in a period of theological reflection and critical thinking in which they systematically debated the merits of the ancient system of retributive justice? We talked a little about that on Wednesday night – that much of the Old Testament understanding concerning participation in the life of God seems to come from a place where everything is cut and dried, and you get what you pay for. Up until the time of Isaiah, largely speaking, the assumption of the people of God was that if you do what’s right, you’ll be blessed, and if you do what’s wrong, you’ll be cursed. It’s not a huge leap from there to the conclusion that if you are blessed – rich, healthy, well-educated – then you must be doing the right thing; and if you are suffering – sick, in pain, in grief – then you must be in state of sin or disobedience. So I’ll answer my own question: I’m guessing that when John talked about Jesus being the lamb of God who takes away the sin of the world, they didn’t stop for a long theological discussion. My sense is rather than sitting down and examining the theological implications of the statement that John made, they believed him, and they said, “I want to get a piece of this action. I want to have this in my life…” Oh, sure there was theology along the way. There was a time for reflection. But on this day, when they heard that Jesus was the lamb of God, they followed him. They wanted in on it. Because whether they stopped to think about it for a long time or not, the implications of this are clear: that if success is not by definition a reward, and if suffering is not necessarily a punishment from God, then the suffering that they encountered was not indicative of the fact that God was angry with them. In fact, the “suffering servant” passage from Isaiah and the declaration of John and the behavior of Jesus indicate quite the opposite: that sometimes, suffering can hold great meaning. Sometimes, pain can lead to blessing. Somehow, in God’s economy, our wounds can become the instrument of true and deep healing. Friends, Jesus of Nazareth is the lamb of God who takes away the sin of the world. The good news of the Gospel today is that you are not stuck in a binary system whereby everything is either good or bad and you get exactly what you deserve. No, you are free to follow the lamb of God who takes away the sin of the world. For some of us, some of the time, following the lamb means that we are free to make different choices. Some of us have walked into the room this morning feeling trapped by the choices that we ourselves have made – we feel stuck with an addiction, hounded by a lie, guilty about our behavior, or imprisoned by pride and selfishness. I declare to you the good news that you are free – that you don’t have to do those things. God, in Jesus Christ, is releasing you from that kind of sin and inviting you to a new way of living. And some of us, some of the time, need to know that following the lamb means that even those situations where we do not have choices are not what ultimately defines our lives. Your parents may have divorced, your boss may be a jerk, your neighbor may be a racist, or your child may deny the Christ. You feel pain even when it does not come from a choice that you’ve made. But I declare to you the good news that this pain, this brokenness, this suffering does not indicate that you have been rejected by God. When John and Isaiah talk about the lamb by whose stripes we are healed, they open up the possibility that even the suffering we endure can have meaning and purpose. The grief that you have carried, or the loss you have endured, or the scars that you wear… these are not signs of failure or indications of God’s rejection of you. Maybe these are the things that have brought you to this day, to this point of being able to walk with some measure of confidence into God’s future as one whose struggles have contributed to the self that you now are. 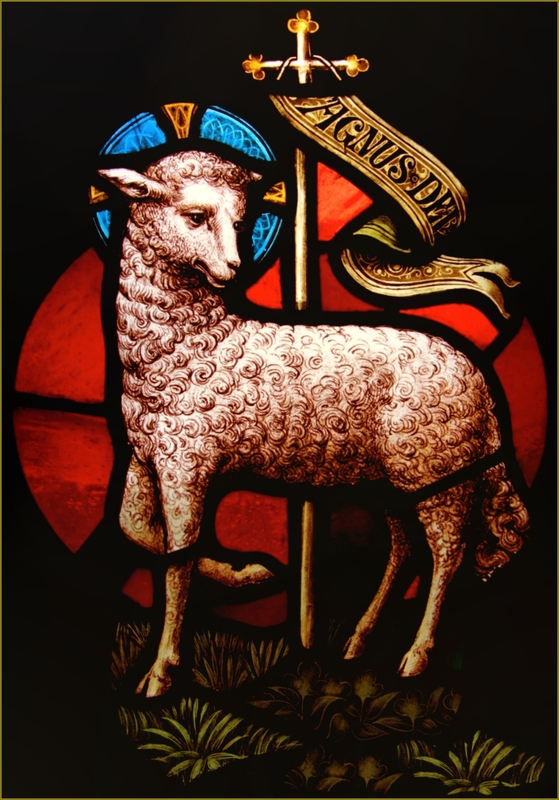 Behold, the lamb of God! It is the truth, dear friends. This Lenten season, we celebrate the good news that John was bold enough to proclaim: Jesus of Nazareth has come, and is coming, so that you might know life in his name. Claim that. Hold on to it. And more than that, live in hope and joy today that there is nothing in your life that is so broken or so bent that it cannot be made whole or straight. Remember, Isaiah 53 isn’t about Jesus. Jesus was about Isaiah 53. The call is for you and I to do and be the same. Thanks be to God! Amen. For much of 2016-2017, God’s people in Crafton Heights are walking through the story of David, the shepherd boy who grew up to be Israel’s greatest king. On March 5, we wondered what happened right after Saul died… in the years between when David could have assumed the crown and the time it finally happened. Our texts included II Samuel 3:1-5 as well as Paul’s description of his “thorn in the flesh”, found in II Corinthians 12:6-10. Waiting… who likes to wait? Isn’t that about the most frustrating part of your day? And these examples, while certainly unpleasant, are only the day-to-day, small-picture, grindingly-irritating things for which we wait. The time you spend in line at the bank or watching the calendar pages turn as you wait for your tax refund to arrive is frustrating, to be sure, but we can usually comfort ourselves by knowing that the resolution to our concern or the fulfillment of our desires is at least in sight, if not imminent. You know what I mean, right? You’re chafed at the fact that the other line is moving faster, but you know that sooner or later the clerk will start scanning your items and you’ll be able to take your groceries and head for home. This kind of waiting is a pain in the neck, but it doesn’t produce a crisis of faith or lead to long-term angst or depression. But what about the other things for which we wait in life? The “big” waits? What about the couple who is desperately trying to conceive a child, or the young father who’s looking for work? Can you imagine living in a refugee camp, knowing that you’re not home, but not sure whether there ever will be a “home” again? Or the single person who longs for the intimacy of marriage, or the person living with cancer who wonders about the length of the remission she’s been granted… What about that kind of waiting? The kind of uncertainty and hopefulness and despair that can lead you to say “O, please, God, when will it stop… or change… or get better?” The kind of waiting that can lead to deep questions about God, and life, and meaning, and eternity? 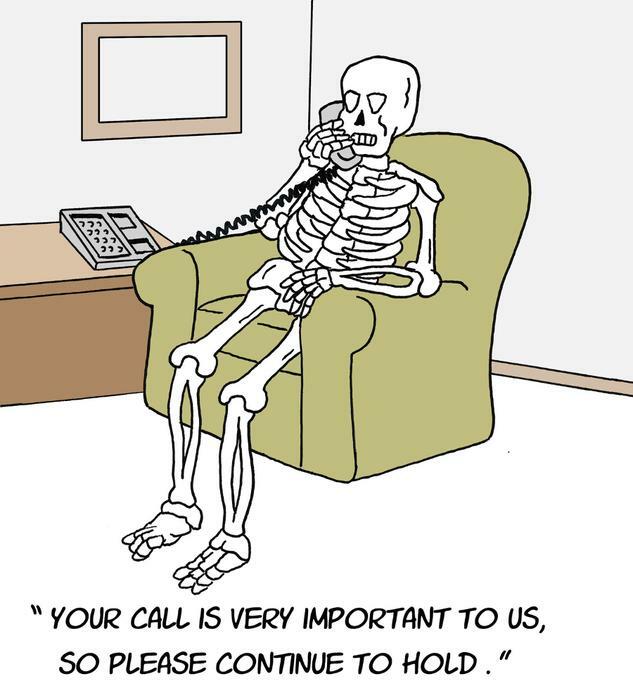 How well do you deal with that kind of waiting? Now, while you think on that, let me ask you to picture this scene in your head. You’re on a retreat or a mission trip with a large group. We’ve all agreed to meet at, say, 8 a.m. to get started on our day. You know how it is… some of us are there at 7:45, eager to get a jump on things. A handful come into the room at 7:58. And, because this is our church, let’s assume that another half dozen people show up at 8:05. Can you picture this in your head so far? OK, show of hands… how many of you have been in a situation like that, where you’re waiting and waiting and waiting for someone who seems to be pretty clueless and disengaged from the group process? Now, how many of you have ever been that guy at least once in your life? The question is… how many times when you’ve been in the midst of some huge and horrific wait have you felt as though God has been acting that way? I am not aware of the source of this illustration. If you know where credit might be rendered, I’d be grateful to know. Where is God while we are waiting, or hoping, or suffering? Why is it that God sometimes takes so long to get his act together? 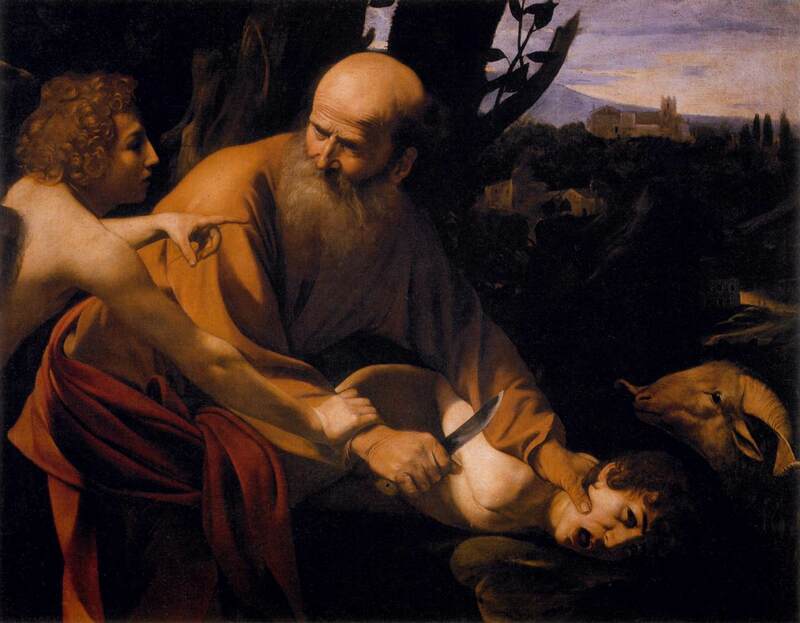 And then he goes out and kills Goliath… He moves into Saul’s house, and Saul’s son Jonathan becomes a best friend. He marries Saul’s daughter, and then he gets chased out of Saul’s house. His wife is taken from him. He gets chased out of Israel. His friend dies. For fifteen years, give or take, David is on the run. Finally, Saul dies. This is it! This is what David’s been waiting for, right? Now he can be the king! And, in fact, he is anointed king… in the tribe of Judah. The other Israelites are holding out for a relative of Saul’s. There’s a power struggle and uncertainty and dis-ease for another seven and a half years. I know that nobody here has waited twenty-two years in the hopes of becoming the rightful king of Israel, but I know that you know the pain of waiting or the frustration of unanswered questions. What do you say when God seems silent? How are you supposed to act when it seems as though God has already checked out? Let me suggest that in some important ways, David can be a model for us in these situations. The scripture that you heard a few moments ago from II Samuel summarizes seven and a half years of conflict in a single verse, and then goes on to name the six sons that were born to David during this time. What does that suggest about the way that David was behaving during this time of waiting? I’d venture to say that this is one way of saying that David was getting on with his life. He continued to act as though the promise was coming true, even if he couldn’t see it with his own eyes right now. While this behavior is not necessarily the model for family life that we’d like to see in the church in the 21st century, the reality is that even while David is continuing to wait on God, he is looking toward the future that God has promised him. 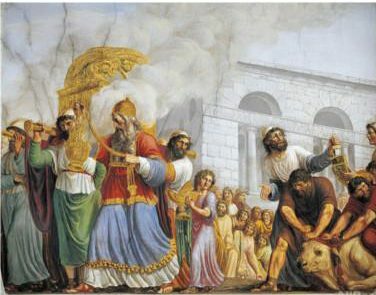 The other thing that David did during these years after Saul’s death was to continue to seek the Lord. Although it isn’t mentioned in the readings we heard this morning, II Samuel chapter 2 relates the fact that David continued to inquire of the Lord with some regularity. In his public as well as his private life, David appealed to the covenant that God had made, even though the terms of that covenant had not all been fully realized. Furthermore, it would be foolish to ignore the fact that the very experience of waiting in this manner shaped David into the kind of king that he would become. Of course he behaved differently as a forty-year old king than he would have as a fifteen-year old monarch. Some of what he went through shaped him for that which he was to become. In the same way, those of us who are waiting, waiting, waiting for something to happen or for something to end are called to continue to walk in the paths of discipleship. We can hold on to what we have and continue to act as though all of God’s promises are true even on those days when we have a hard time feeling their truth. I think that’s what Paul is getting at in his letter to the Corinthians. He mentions what he calls his “thorn in the flesh” – some mysterious affliction – that seems to get in the way of his happiness or productivity. We’re not sure exactly what this “thorn” was: some scholars have suggested Paul struggled with depression, or epilepsy, or failing eyesight, or recurrent bouts of pain. We can’t know what it was, because Paul doesn’t tell us. What he does tell us, however, is that what God is doing is more important than what Paul is feeling. Paul senses God’s presence with him saying, “Look, don’t put all your trust in what you can do or what you hope will happen. Trust that my grace is enough for you. Trust in me to hold you up.” Paul does this, and is able to write about finding contentment in Christ. We are not promised easy answers or short-cut solutions. Those things didn’t show up in David’s life or in Paul’s. It seems to me that the path of faith invites us into all of the messy and sometimes painful places of our lives in the expectation that God will show up at the right time… even if the timing is not what we would wish. Søren Kierkegaard stressed the importance of the discipline of waiting in faith. He said that many of us are like the student who didn’t like math, but needed a good grade in the course, and so he stole the teacher’s answer sheet before the test. His goal, of course, was to memorize all of the right answers and then get a perfect score. Kierkegaard rightly points out that answers like that are not really answers at all. To truly have the answers, we have to work through the problems. Your life and mine are full of problems. Some of them are minor irritants, such as choosing the slow line at the Giant Eagle or getting lost in traffic. 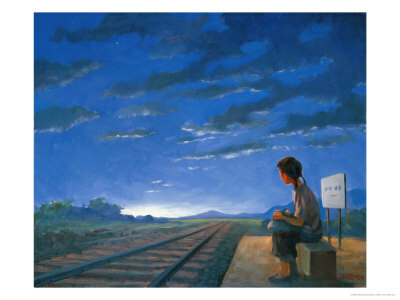 Some of them are incredibly difficult to bear, such as the loss of a child or the dimming of hopes that were bright. We will not escape the problems. But with the help of God, we can walk into them knowing that these problems will not overwhelm us. By the power of the Holy Spirit, and with the company of those around us in the body of Christ, we can work it out. We can wait it out. We can hope it out. God’s grace was sufficient for David and for Paul. It is enough for you and me as well. Thanks be to God. Amen.